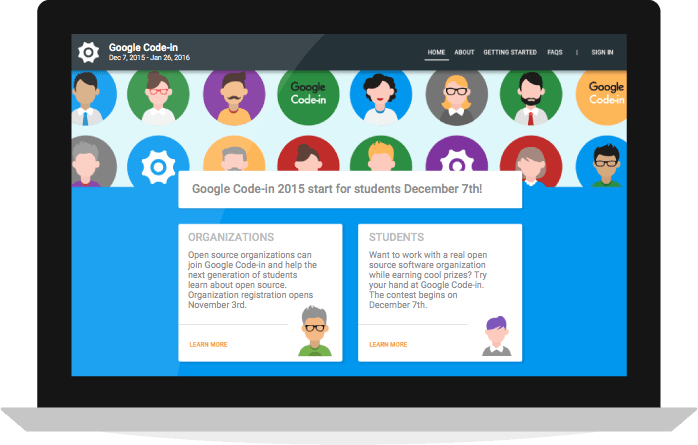 Google Code-in is an annual programming competition that allows pre-university students to complete tasks specified by various, partnering open source organizations. The aim is to both introduce students to open-source and to do some good work for open-source organisations. The students are mentored by representatives from the open-source organisations and there are various prizes available for the students who do the most. The tasks vary widely in range from coding, to graphics, to documentation. They are all, however, broken up into reasonable bite-sized pieces. There’re a lot of good reasons for students to get involved with Google Code-in. It provides an opportunity to work on real software, to do some good, to make contact with serious people in the industry, and it wont look bad on their CV. An interesting and pertinent paper came out just yesterday looking at why people contribute to places like Stack Overflow that provide free answers and advice. Many online platforms such as Yahoo! Answers and GitHub rely on users to voluntarily provide content. What motivates users to contribute content for free however is not well understood. In this paper, we use a revealed preference approach to show that career concerns play an important role in user contributions to Stack Overflow, the largest online Q&A community. We investigate how activities that can enhance a user’s reputation vary before and after the user finds a new job. We contrast this with activities that do not help in enhancing a user’s reputation. After finding a new job, users contribute 25% less in reputation-generating activity on Stack Overflow. By contrast, they reduce their non-reputation-generating activity by only 8% after finding a new job. These findings suggest that users contribute to Stack Overflow in part because they perceive this as a way to improve future employment prospects. While some of this probably flows through to student motivations, the chance to be part of a significant project should be a major driver. I know from talking with one of the Sydney-based mentors from RTEMS that they will ensure that the students’ names are memorialised with other project contributors. And if that doesn’t do it, there’s always the prizes. Google Code-in runs from December 7 to January 25 (US time) . For all the very detailed details see here.